PETALING JAYA: Some property consultants are not in favour of a potential move to increase the floor price of residential property for foreign buyers from RM500,000 to RM1mil. They said such a move would not affect the increasing prices of ordinary homes, and might deter foreigners from investing or working in Malaysia. Property consultancy Rahim & Co executive chairman Datuk Abdul Rahim Rahman said Malaysia needed foreigners to be part of its work force as the country progresses to become a high-income nation by 2020. “Such a move would reduce the number of residential property purchases by foreigners. Personally, I do not think that foreign purchases have contributed very much to the rise in prices of ordinary homes although it did affect the prices of luxury homes or apartments in the KLCC area, initially,” he said on the sidelines of the 22nd National Real Estate Convention. The convention is jointly organised by the Association of Valuers, Property Managers, Estate Agents and Property Consultants in the Private Sector Malaysia (PEPS) and The Royal Institution of Surveyors Malaysia. The 2011 property market report, compiled by the Finance Ministry’s Valuation and Property Services Department, had noted that the demand for units priced above RM500,000 had increased nationwide, with 21,905 transactions last year (compared with 16,782 in 2010). “This could be attributed to the increase in affordability level and supported by the ease in borrowing as well as attractive loan packages offered by the financial institutions,” it said. On residential property values, Abdul Rahim said overall prices should stabilise this year due to credit-tightening measures by banks. SINGAPORE: Singapore said yesterday it will tighten rules to ensure developers reflect the size and layout of apartments more accurately as part of new measures to protect buyers who are less familiar with the property market. From May 18, developers of uncompleted apartments must give drawn-to-scale location plans to buyers and "provide breakdown of a unit's floor area by the various spaces such as bedrooms, balconies and bay windows", the Urban Redevelopment Authority (URA) said in a statement. Other requirements include getting the consent of buyers before making changes such as adjustments to the layout. URA is finalising changes to existing laws to ensure showflats depict the actual units accurately. Private home sales in Singapore hit a new record in the first quarter of 2012 despite government efforts to cool the market and analysts are concerned authorities may take new steps to dampen sentiment. The new measures may focus on small "shoebox" units that are popular with investors looking for higher returns, CIMB said in a report yesterday. Banks in Singapore now pay as little as 0.05 per cent per year on deposits. Common tactics by developers to make apartments look bigger include using furniture that is smaller than usual and not including some of the walls in showrooms. PETALING JAYA: Intellplace Holdings Ltd, a wholly-owned unit of LBS Bina Group Bhd, yesterday signed a memorandum of understanding (MoU) for the sale of the group’s equity in two of its companies involved in golf club operations and property development projects in Zhuhai, China. LBS managing director Datuk Lim Hock San said the MoU provided for the parties to negotiate exclusively with each other and finalise the scope and terms of a sale and purchase (S&P) agreement. The MoU was signed with Jiuzhou Technology Co Ltd (JDX), a wholly-owned subsidiary of Jiuzhou Development Co Ltd (JDCL), which is listed on the Hong Kong Stock Exchange. In a statement, LBS said the MoU would kick-start negotiations for JDX to acquire up to a 100% (but not less than 60%) stake in Dragon Hill Corp Ltd, a wholly-owned subsidiary of Intellplace. Dragon Hill, through its subsidiaries, owns and operates the 36-hole Lakewood Golf Club and its adjoining property development project in Zhuhai. LBS said the proposed sale to JDX was worth up to HK$1.65bil and would be settled by payment in cash, equity shares in JDCL, convertible securities and/or other means to be mutually agreed by the parties. In a note to Bursa Malaysia, LBS said that pursuant to the MoU, Intellplace had agreed to grant exclusive right of negotiation to JDX for a period of six months from the date of the MoU. After the signing of the MoU, JDX will perform due diligence review on the legal, financial, accounting and business aspects of Dragon Hill, and the parties will discuss and negotiate on the terms of the proposed sale and purchase (S&P) with a view to signing a definitive agreement. “The LBS board wishes to emphasise that the definitive agreement for the proposed disposal may or may not be entered into. Even if such agreement is entered into, whether or not the proposed disposal may proceed will be subject to all the relevant conditions precedent being fulfilled,” LBS added. Responding to StarBiz queries on the potential uses of the proceeds, Lim said the company intended to “actively and aggressively increase its land bank”. “We can expand our land bank not only through joint ventures, but also by purchasing land without affecting our borrowings. Our existing land bank of 2,300 acres can last us for about 10 years. Land is increasingly scarce and expensive, and with the extra cash, we can look for good land and have better bargaining power,” he added. Lim said LBS might also invest in other project in China when good proposal cropped up. He said part of the proceeds would be used to reduce the company’s borrowings which would strengthen its balance sheet. “We will also consider declaring a special dividend to our shareholders. When we reap profit from the China project, whether via disposal or through profit distribution from the joint venture operations, we would like to share the fruits with our shareholders,” he added. Lim said the proposed sale would be a win-win deal for the parties. Kumpulan Perubatan (Johor) Sdn Bhd has signed a joint-venture agreement with Naim Land Sdn Bhd to own a purpose-built hospital and later operate the hospital at Kuala Baram district in Miri. Under the joint venture, Kumpulan Perubatan Johor, a wholly-owned subsidiary of KPJ Healthcare Bhd, will design, develop, build, complete and run the hospital. Parent company, KPJ Healthcare, said Kumpulan Perubatan Johor, would operate through a joint-venture company, in which the latter would hold 70 per cent equity interest while Naim Land the remaining 30 per cent. The joint venture was in line with the KPJ Healthcare and its subsidiaries' objectives to increase their hospital network to locations where private healthcare was in demand. At the same time, it would leverage on KPJ's and Naim Land's capabilities to operate a private hospital and to lower KPJ's initial start-up costs, it said. The joint-venture is expected to be fulfilled and completed by the first half of this year, said KPJ Healthcare in a statement today. Briefing by SPAD officials for media editors: From left SPAD chief development officer Azmi Abdul Aziz, SPAD chief executive officer Mohd Nur Ismal Mohamed Kamal and SPAD chief operating officer Azhar Ahmad - Starpic by AZLINA BT ABDULLAH . PETALING JAYA: The private sector will be invited to come out with a proposal that requires minimal Government funding for the development of the high-speed rail (HSR) project linking Kuala Lumpur and Singapore if the project gets the green light. Land Public Transport Commission (SPAD) chief executive officer Mohd Nur Ismal Mohamed Kamal said if the project received the go-ahead from the Government, the authorities would favour a proposal from private parties that would involve the smallest amount of financial assistance from the Government. “But we also know that a rail project can seldom sustain itself financially. No operator can bear the cost of infrastructure, land acquisition, signalling system and rolling stock from the collection of fares alone as it will never pay for itself. Ismal said the HSR project was now in the second phase of a feasibility study that looked into the actual corridors and alignment. This is expected to be completed by year-end. “This study will provide a more detailed economic impact of the HSR and its engineering challenges,” he said. He said this time around, the HSR study would be more comprehensive in looking at matters that largely revolved around national interest in contrary with previous HSR proposals that came from the private sector. It was reported that the idea on the HSR came from Performance Management and Delivery Unit laboratory. On the comparison with KTMB services when its double-tracking is completed, Ismal said the KTMB services would cater to the mass market and freight transportation, while the HSR was targeted at the high and middle-income markets. 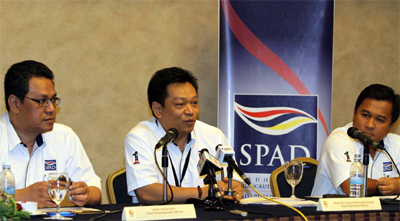 SPAD was also in the midst of finalising plans for the Bus Rapid Transit (BRT) project for the Klang Valley, which should draw interest from construction companies because it entails building extra bus lanes in the city centre. “We have already embarked on the traffic impact assessment study, which is expected to be completed by year-end and we plan to start physical work early next year. “The project will take 12 to 18 months to be completed and will be fully funded by the Government. It will have to go through an open tender procurement process,” he said. On the Rapid Transit System project, which links Johor Baru and Singapore, Ismal said: “The project will be funded by both Malaysia and Singapore. 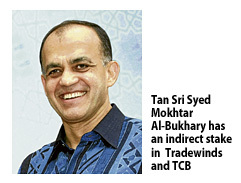 As of now, the tender for consultancy services for the alignment and design of the project is closed,” he said. These three projects were part of SPAD’s 50 priority projects from a total of more than 200 projects that has already gained traction or will begin this year. “The development of the 50 projects is on-going. Some of the projects are still in the concept stage and haven’t obtained the commitment from the Government. “But, we are pushing forward the projects for the development of public transport. We are doing our best to convince the Government that in certain cases that are no other available options but to put in the infrastructure,” he said. On the mass rapid transit, Ismal said the study for the second and third lines would start early next month.